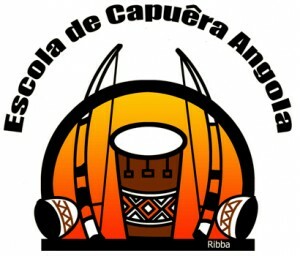 The school emphasizes the most ancient traditions of Capuêra Angola: the flow of the game, its circular nature, and the state of trance. Their goal is to transcend the physical by moving with the soul. The focus is not on learning Capuêra as a deadly martial art, but instead, on learning to find inner balance and self-knowledge through Capuêra to find ones inner spirit. Master Marcio Mendes was born in Macapá-AP, and grew up in Belém, Brazil. In 1999, Màrcio moved to Toronto and founded Escola de Capuêra Angola. Màrcio has taught classes in various countries, including England, Portugal, and Trinidad, and has participated in the street festival in Avignon, France. He has also given numerous workshops, presentations, and live performances across Canada. Always giving back to the community, he has also taught capoeira to Toronto’s at-risk youth in alliance with St. Christopher House and Kites and Alexandra Community Centre. Marcio Mendes leads movement workshops through the month of July at SKETCH. Capoeiristas play “mas” as members of Humility’s Entourage.